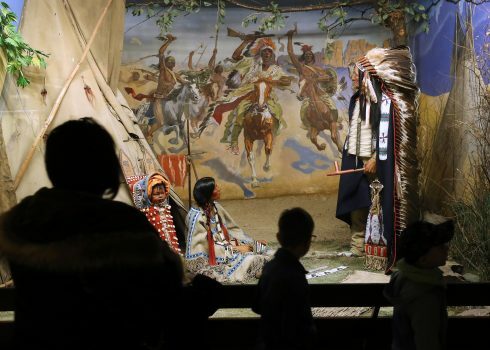 Let us take you into the marvellous world of imagination of the famous author Karl May and explore the cultural and historical living environments of the indigenous population of North America. A guided tour through the museum is limited to max. 30 persons and takes you approximately 90 minutes. 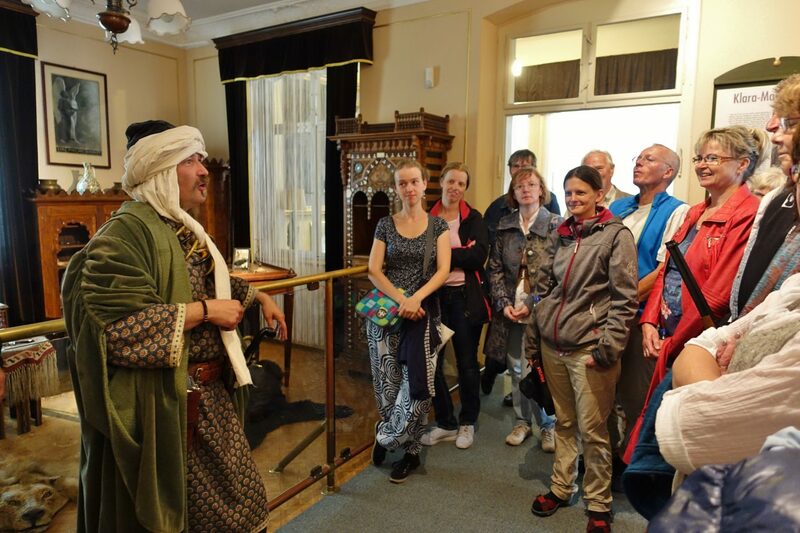 We also offer guided tours in English on demand: € 60.00 per group (max. 30 persons). 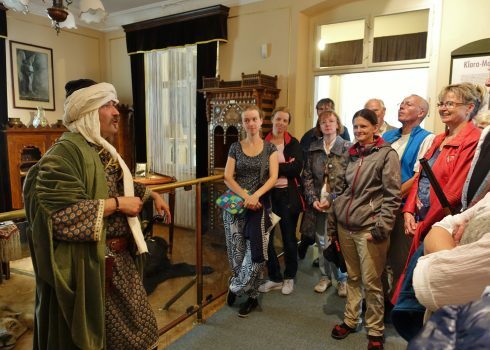 Guided tour through the museum Visitors in front of diorama "Heimkehr von der Schlacht"